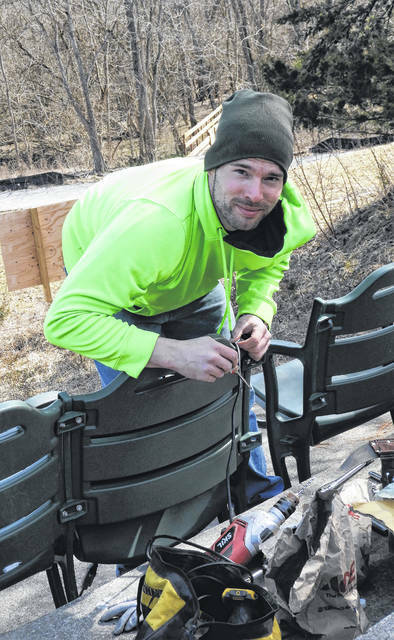 https://www.xeniagazette.com/wp-content/uploads/sites/32/2019/03/web1_Chair.jpgPhotos courtesy GCP&T Seth Sponsell works on bolting one of the chairs back into place. The former chairs, which originally came from the former Riverfront Stadium in Cincinnati, are currently being reinstalled at the amphitheater. 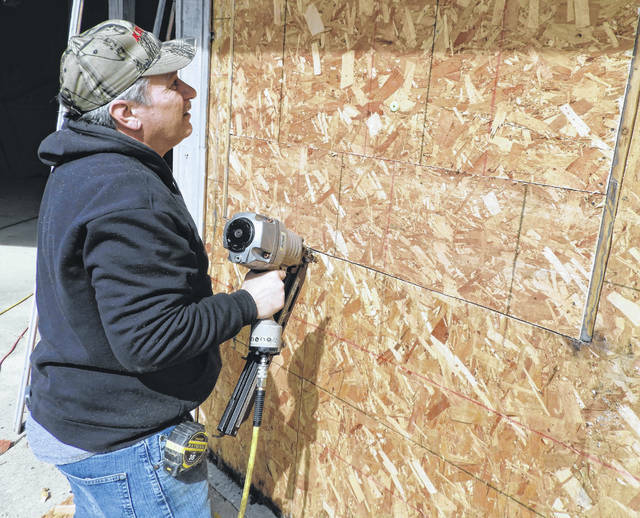 https://www.xeniagazette.com/wp-content/uploads/sites/32/2019/03/web1_Wall.jpgJames Fording installs exterior siding on the new bathrooms that have been renovated at the amphitheater.